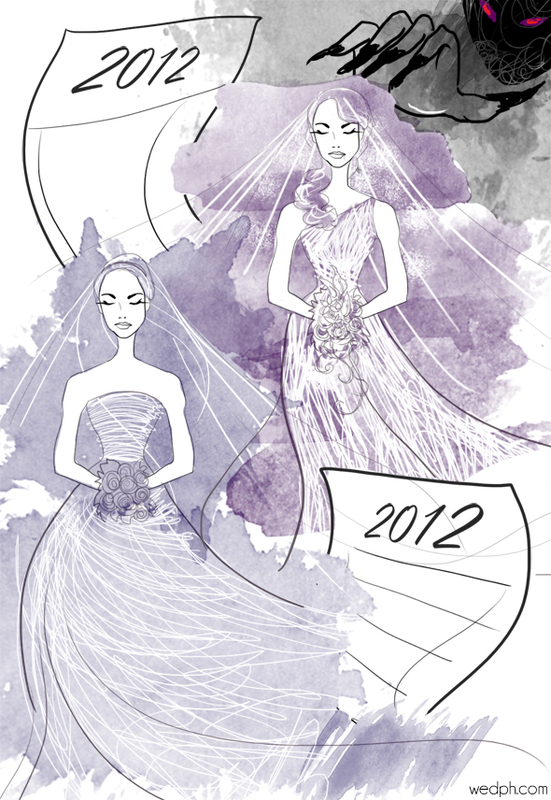 Aside from ceremonial traditions, Filipino weddings are also full of superstitious beliefs. Here is to name a few of them. The wedding date should be well-planned because two siblings cannot marry within the same year (also known as “sukob”) or this will bring bad luck. 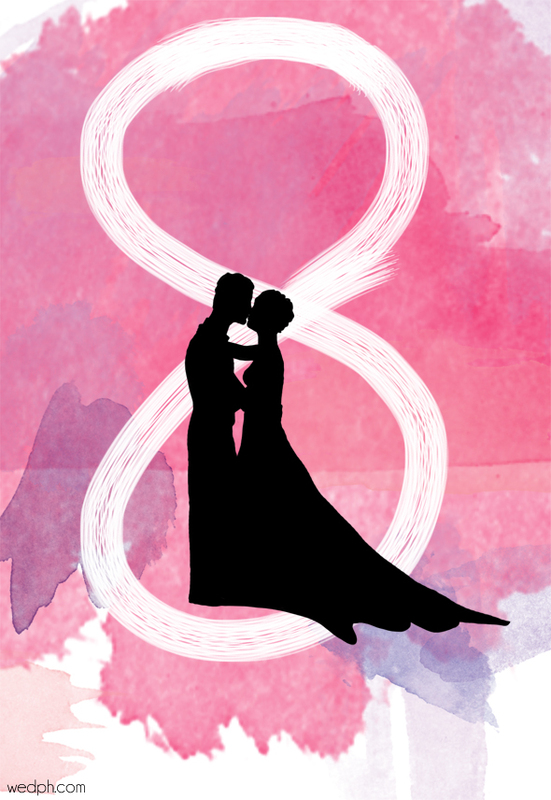 And, according to feng shui, it is best to choose a date whose numbers end with an upward stroke. Note, for example, how many choose to get married on dates ending with 0, 5 or 8. Eight also is the symbol for infinity, or in the case of weddings, eternity. 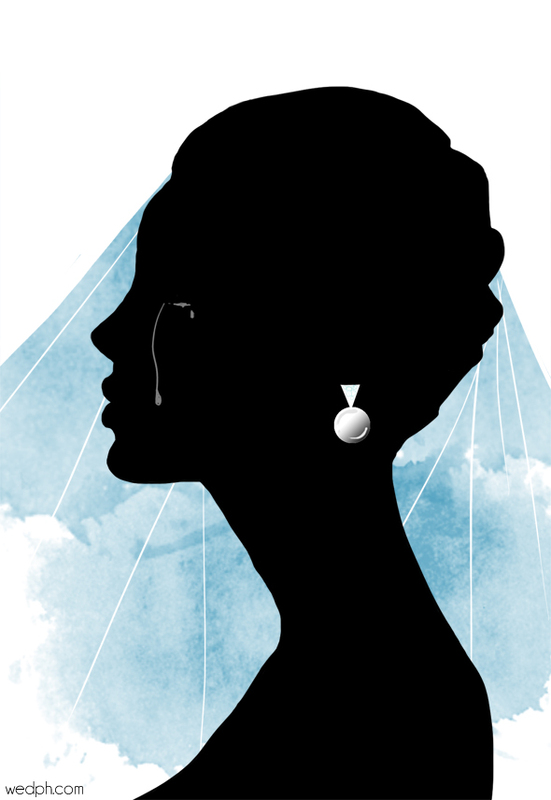 The bride should not wear pearls as part of her jewelry as these represent tears. These probably stemmed from the belief that pearls are the “tears of oysters.” It is also said that a bride wearing the final gown (even for fitting purposes) and a groom seeing his bride before the wedding day would bring bad luck. Specifically, the wedding might not push through. They also must take extra care before the big day and avoid traveling as they can be accident-prone. The groom must also arrive at the church before the bride does, to avoid bad luck. 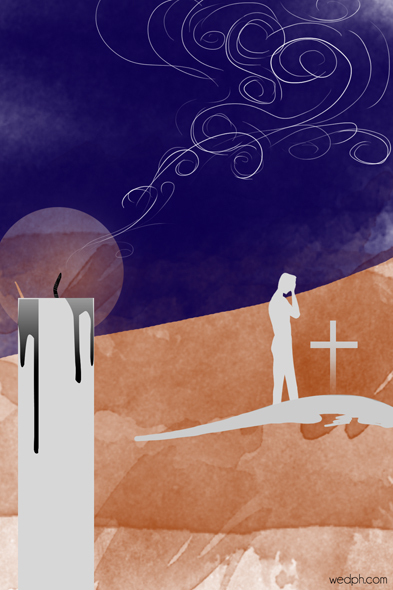 During the wedding, if any of the two candles lit is extinguished on its own, the person on whose side the candle dies out will die ahead of the other. Dropping any of the ring, veil, cord, or arrhae will mean unhappiness. The groom must also allow the bride to sit down first, or else he will turn out to be a hen-pecked husband (“under the saya”). 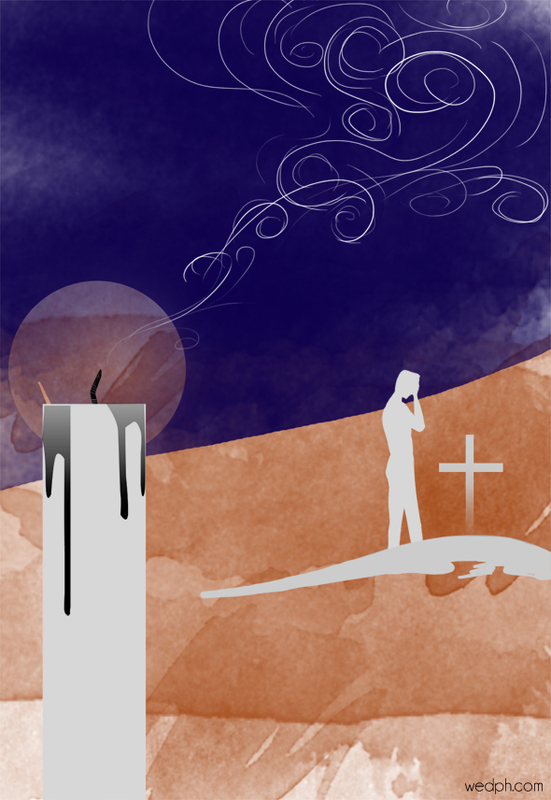 Related to this is the belief that the one on whose side the candle will light up last will be the more submissive partner. The bride, while marching towards the altar, should also step on the groom’s foot so that he would be agreeable to her all their married life. 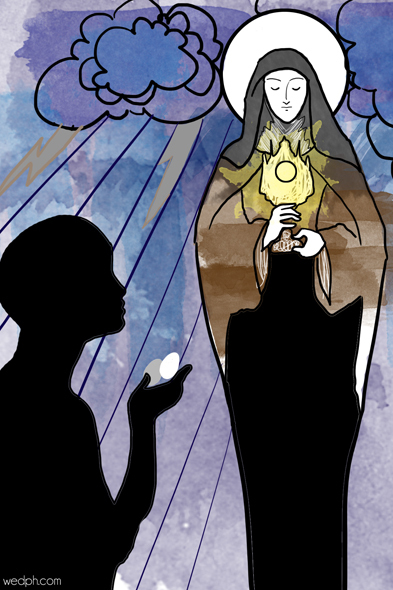 A bit of conflict: The couple is encouraged to offer eggs to St. Claire so that it would not rain on the wedding day. However, rain during the wedding symbolizes prosperity. Showering the couple with rice after the wedding also points to prosperity. The rice is also a symbol of fertility and longevity. However, this tradition is sometimes replaced with confetti or bubbles for practical purposes. An unmarried person who stands as a principal sponsor during the wedding (ninong or ninang) may remain unmarried for the rest of his/her life. 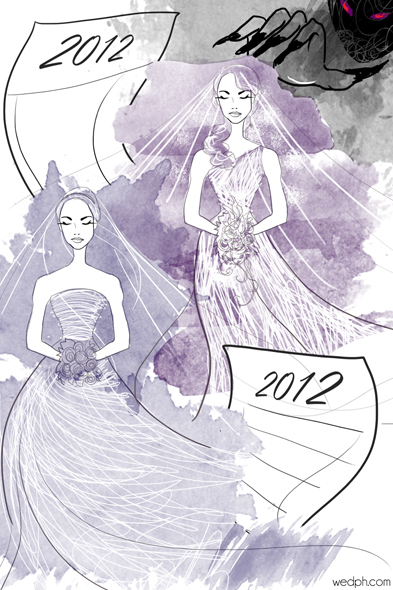 A single woman who catches the bridal bouquet will be next-in-line to marry. But then again, this last is also a belief in other countries. Breaking something during the reception means good luck, so don’t be bewildered at the sound of crashing plates during the after-wedding party. The doves used in the reception should also be able to fly freely. If they fly or end up together, it signifies that the newly-weds would be happy together. Even gifts are not spared. Sharp objects are unadvisable as they could lead to a broken marriage. Chamberpots (arinola), on the other hand, will bring good luck. These superstitions may sound ridiculous or illogical or non-scientific to many. Some may even be in conflict with each other. Yet they persist because it Filipinos think they would not lose anything if they believed in superstition anyway. But remember, the only thing that should matter is the love between the couple, their trust in and commitment to each other, and in their belief that God will bless their union as they spend the rest of their lives together. The wedding candle it should be lighted up after the wedding?